New Mel Gibson Film Bashed As "Vile, Racist Right-Wing Fantasy"
Well, it looks like Mel is back in full swing. Unsurprisingly, he's being preemptively attacked regarding his upcoming film. Mel Gibson went from one of the top-grossing actors in Hollywood to blacklisted overnight after a stream of anti-Semitism ruined his career in 2006. Mel may have made his comeback, but I'm not so sure about the "warm embrace" bit. Some finally forgave, but seem unwilling to forget while others certainly are far from forgiving as far as the actor who has topped charts as an action star in the Lethal Weapon series as well as directing films like Apocalyptica and the Passion of the Christ. Mel's new movie is getting some buzz going but most of it seems to be from the "not forgiving, not forgetting crowd." Just a look at the headlines themselves makes that clear. The Daily Beast headline reads, "Mel Gibson's New Police Brutality Movie Is a Vile, Racist Right-Wing Fantasy." Meanwhile, MSN headlines read, "Mel Gibson's New Police Brutality Movie Is A Vile, Racist Right-Wing Fantasy." (Seems like I've heard that somewhere before, oh right, that memo they sent out). 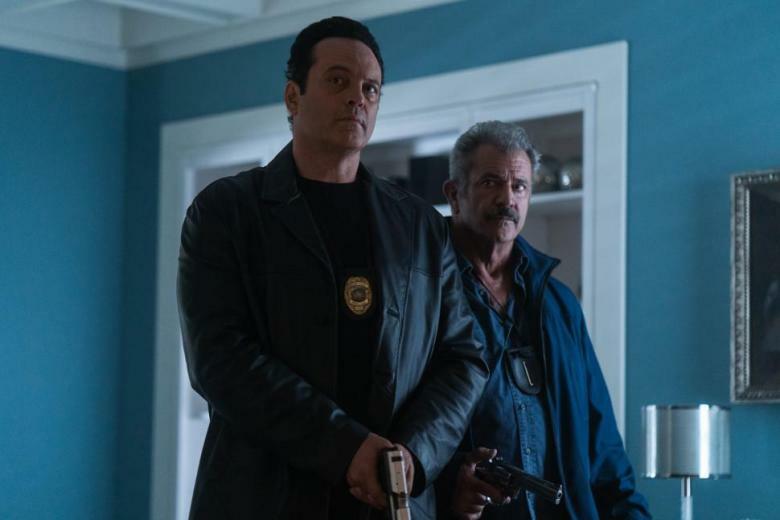 Anyway, the new movie is entitled Dragged Across Concrete and, you know what, I always pretty much enjoyed Mel's movies and am glad he's back in Tinseltown ("warm embrace" or not) so I'll personally be keeping an eye out for it. It just debuted at the Venice Film Festival so hopefully, I can catch a screening soon and offer a full review. I'm willing to look past the fact that Vince Vaughan is in it. IndieWire describes the film as a case of "bad cop, worse cop" being played out with Vince Vaughan and Melly G. No word yet if this and future projects in the works will keep Mel from becoming "the people's choice" to replace James Gunn in Guardians of the Galaxy. Can't wait for it ! He and Clint Eastwood are the only talent that Hollywood has left ! Hollywood has no ideas. They're now rehashing old movies, changes the actors, and genders ! If the lefties hate it, wifey and I will definitely have to go see it. Keep em coming Mel! MEL GIBSON = ANTI-SEMITE. FANS OF MEL GIBSON WHO ARE AWARE OF THIS = ANTI SEMITES. ARE YOU AN ANTI SEMITE? ARE YOU CONDONING ANTI SEMITISM? THINK ABOUT IT.